Succès de l’exploration du lithium avec l’utilisation de la géophysique. Clayton Valley is located in Nevada and hosts the only known lithium bearing brines in North America. The Brines are found in aquifers that lie in bedrock lows. 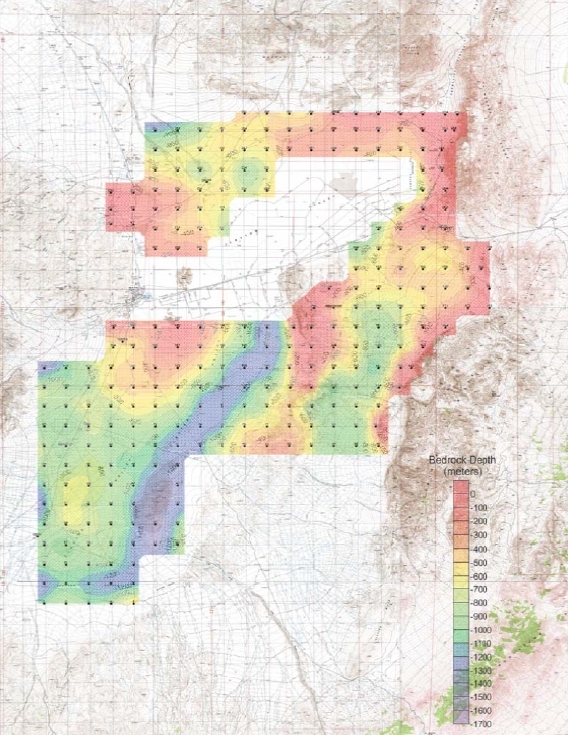 A ground Gravity survey was conducted mapping the bedrock topography. Drilling confirmed Lithium rich brines in bedrock lows.